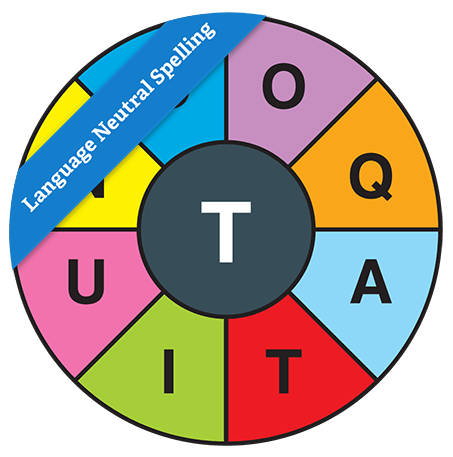 Colour & language neutral – your target is to create as many words of 4 letters or more, using the letters once only and always including the letter in the middle of the wheel (and the one 9-letter word which uses all letters). Wheel Words puzzles are artfully crafted so that the reasonably well-known words which can be created from the given letters CANNOT include words that are differently spelt in British and North American English. Wheel Words are provided in colour but you may convert the eps files to greyscale and print in black and white since the colour is not essential to solving the puzzle.